This is completely low-cal and low-fat, ha...I wish! It is however, rich and decadent but also a little too heavy for my blood and terribly time consuming. If I made it again I would definitely do some of the steps recommended ahead of time. I was in the minority, as everyone in my family absolutely loved it. 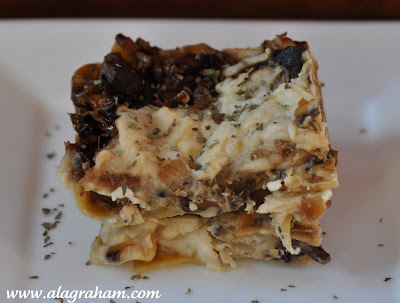 I halved the recipe below and used an 8x8 baking dish and still had plenty of leftovers for a family of 4. In a small saucepan bring water to a boil and remove pan from heat. 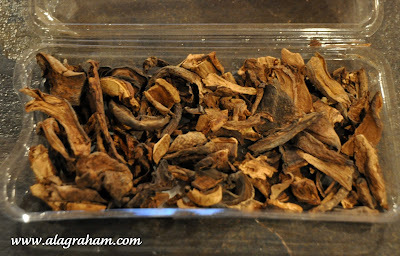 Stir in porcini. Soak porcini 20 minutes. Lift out porcini, squeezing out excess liquid, and reserve soaking liquid. 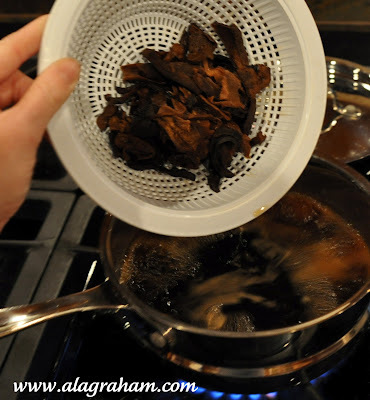 In a sieve rinse porcini to remove any grit and pat dry. Chop porcini and transfer to a large bowl. Simmer reserved soaking liquid until reduced to about 1/4 cup. Pour liquid through a sieve lined with a dampened paper towel into bowl with porcini. Finely chop white mushrooms. Cut zucchini into 1/4-inch dice. Chop onion and mince garlic. 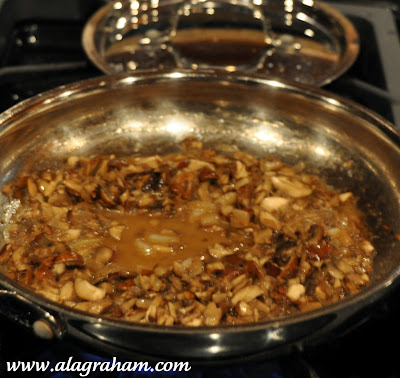 In a 12-inch heavy skillet heat 3 tablespoons butter over moderate heat until foam subsides and cook white mushrooms with 6 tablespoons Sherry, stirring, until liquid mushrooms give off is evaporated and they begin to brown. In skillet cook zucchini in 1 tablespoon butter until tender and stir into porcini mixture. In skillet cook onion in remaining tablespoon butter, stirring, until softened. Stir in garlic, thyme, salt, and pepper and cook, stirring, until fragrant, about 30 seconds. Stir onion into mushroom mixture until combined. Filling may be made 1 day ahead and chilled, covered. In a 3-quart heavy saucepan melt butter over moderately low heat and whisk in flour. 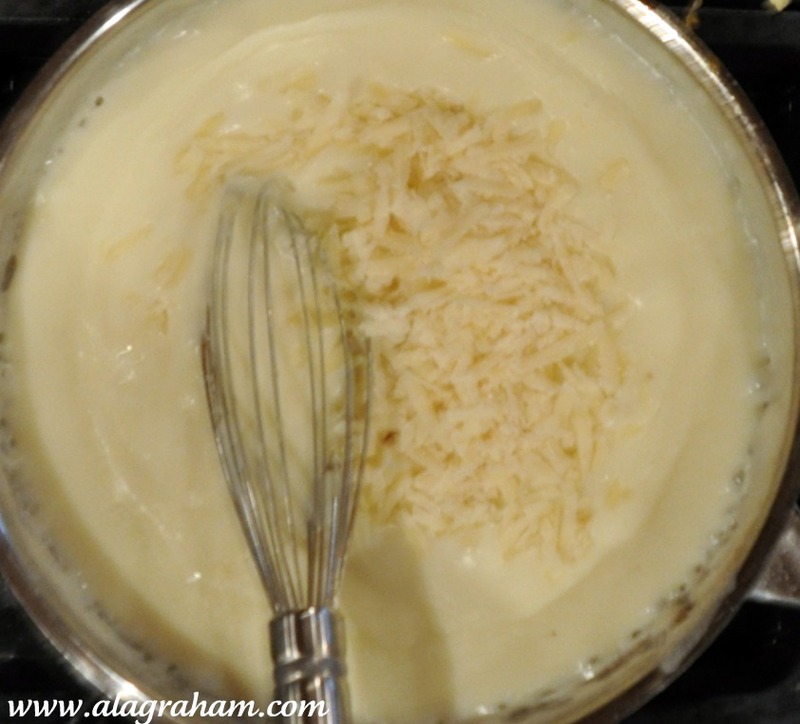 Cook roux, whisking, 3 minutes and whisk in milk. Bring sauce to a boil, whisking constantly, and simmer, whisking occasionally, 3 minutes. Stir in Parmesan, mustard, and salt. Remove pan from heat and cover surface of sauce with wax paper. Sauce may be made 1 day ahead and chilled, covered. Bring sauce to room temperature before proceeding. Preheat oven to 375°F. and butter a 13 x 9-inch (3-quart) baking dish. Spread 1 1/4 cups sauce in baking dish and cover with 3 pasta sheets, making sure they don't touch each other. Proceed with spreading one third mushroom filling over pasta sheets in dish and top with 3 more pasta sheets. 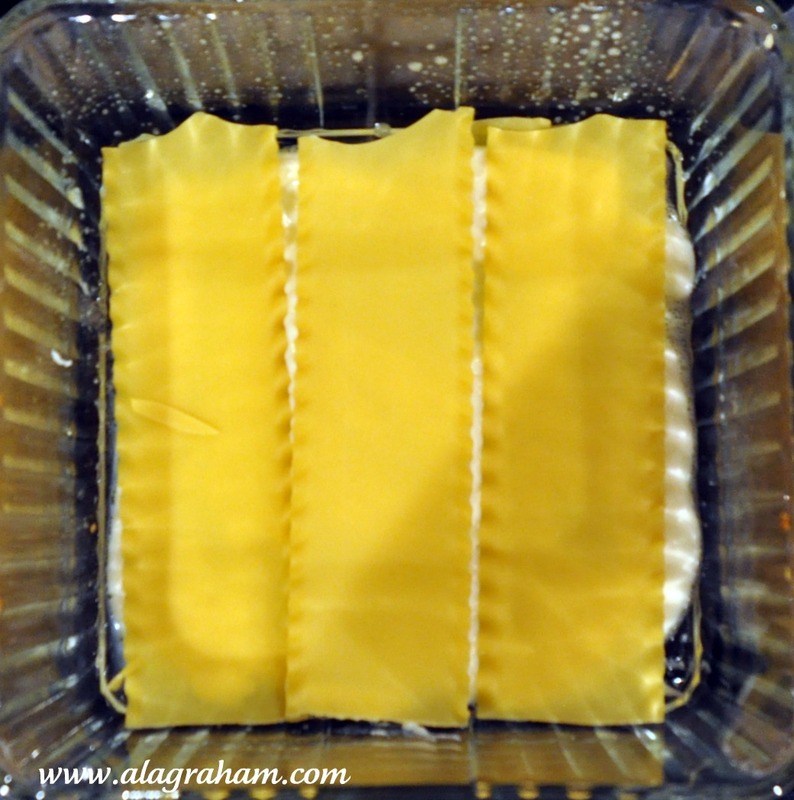 Top pasta sheets with one third mozzarella. This is how the layering goes: sauce, 3 pasta sheets, 1/3 cup mushroom filling, 3 pasta sheets and 1/3 of the mozzarella, sauce, 3 pasta sheets, 1/3 cup mushroom filling, 3 pasta sheets and 1/3 of the mozzarella, sauce, 3 pasta sheets, 1/3 cup mushroom filling, 3 pasta sheets and 1/3 of the mozzarella,ending with mozzarella. Spread remaining sauce over top and sprinkle with Parmesan. On a foil-lined large baking sheet bake lasagne in middle of oven until bubbling and golden, about 45 minutes. Let lasagne stand 20 minutes. Lasagne may be made 1 day ahead and chilled, covered. Bring lasagne to room temperature and reheat before serving. One of my favourite lasagna, I love it!! Too rich? I didn't know there was such a thing? LOL! This looks heavenly. I love the flavor of porcini mushrooms. Sadly all these varieties of mushrooms are not available where I live so I can’t try this dish. Please post an alternate version of the recipe using different vegetables. This is a very different recipe of Lasagna with zucchini. Usually zucchini is not considered a famous vegetable amon kids but with this recipe they might easily eat it.